Medicine confronts a profound dilemma that originates in its view of disease. Sophisticated technology reveals small aberrations in an otherwise healthy patient. Should they be regarded as disease and treated? Is a harmless arteriosclerotic plaque a disease, and should it be treated? Since medicine lacks clear guidelines how to deal with harmless aberrations, many treatments are unnecessary. Attention should therefore be turned to health. An aberration should be treated only if impinging upon health, and treatment should improve health. But how to measure health? 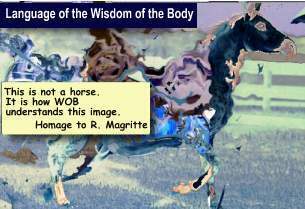 The answer is given by the "Wisdom of the Body" (WOB) (1). WOB is an attribute of living organisms, essential for individual survival and was molded by natural selection. The evolving WOB has encountered all diseases and knows how to heal the organism. The WOB concept is essential for defining health. First, some definitions. All components of the organism are its norm. The hostile environment is collectively called noxa. The potential of a norm to withstand a noxa is called tolerance. Noxa poses a threat to disrupt the norm, and tolerance is a measure of norm's vigor to withstand disruption. It is also a measure of norm's health. The higher tolerance the healthier is the norm. Since environmental threat changes, the norm has continually to be adjusted to meet the challenge, which is done by the healing force. Guided by the WOB, the healing force continually adjusts the norm so as to make it healthier as possible. In other words it continually maximizes tolerance. This property is called also normativity (2,3). When confronting an environmental threat (that includes also therapy), the WOB evaluates all available norms and drives the organism to the healthiest norm, with the highest tolerance value. Adequate treatment ought to consider its effect on health (tolerance) which may be estimated in two ways: 1 Interrogation of the WOB in order to find out whether tolerance improved and deteriorated, 2 Measure health (tolerance) from the response of the healing force of nature to treatment (4). How then to interrogate the WOB? Many promising ideas are found in metaphysics that studies phenomena unexplained by the exact sciences, e.g., life, which preoccupied many philosophers. In order to find out what life is, philosophers turned their attention to their own body (and soul). Descartes' "cogito ergo sum" arose from a contemplation that implicitly considered physiological and psychological arguments, although they were not regarded as such. The metaphysics of life was studied in depth by the French philosopher Henri Bergson (1859-1941). Is regarded as a "process philosopher", along with Heraclitus (5), whose philosophy was influenced by neuro-pathology, physiology and psychology. No wonder that his main opponent, Bertrand Russell, regarded Bergson's philosophy as a psychological theory. The WOB concept, that was conceived by Cannon in 1932 (1) does not belong to Bergson's philosophy. He may have even opposed it, since opposing finalism. Nevertheless, his philosophy, e.g., the concepts of Duration and Memory, is important for understanding the WOB (6-8). The universe including my body are represented in me by images. In Bergson's words: "a system of images which I term my perception of the universe" (6, p.25). The image of my body is distinct from all the others (since representing my body). The universe is a moving continuity. Everything changes and yet remains: "Real movement is rather the transference of a state than of a thing" (6, p. 202). Like waves in the sea that seem moving while the water itself is not displaced. Movement initiates perceptions that are represented as images and stored in my memory. "Therefore we conclude that the living body in general and the nervous system in particular, are only channels for the transmission of movements, which, received in the form of stimulation, are transmitted in the form of action, reflex or voluntary" (6. p. 73). Memory is spread all over the body, and only part of it resides in the brain: "Memory is something other than a function of the brain" (6, p.238). This startling conclusion was based on the observation of patients with neuropathological disorders. With the discovery of immunological and genetic memories, Bergson's statement becomes extremely relevant. Memory is also "the survival of past images " (6, p. 66), that affect our present action. "[The] primary function [of memory], is to evoke all those past perceptions which are analogous to the present perception, . . so as to suggest to us the decision that is most useful" (6, p.228). Bergson's image is none other than the above defined norm, and can be represented mathematically by a strange attractor (5). The organism may be regarded as action processing machine. "Our body is an instrument of action and of action only" (6 p. 225). "The body, placed between the objects which act upon it and those which it influences, is only a conductor, the office of which is to receive movements and to transmit them . ." (6, p.77). The significance of this idea becomes clearer in light of the modern representation of the living organism as information processing machine. Accordingly the organism collects information, stores it in its memory, and applies it for interacting with the environment. Such a notion would be rejected by Bergson. The organism stores all images (norms) of its past. When necessary chooses the relevant image (norm), which then becomes actualized and recollected. The chosen image becomes a nascent perception that passes from the virtual to the actual. "The virtual image evolves toward the virtual sensation and the virtual sensation toward real movement" (6, p.131). Two examples are pertinent. 1. The traditional explanation of a local infection. The invading agent causes swelling redness and pain, while the body amplifies a b-cell clone that produces the relevant antibody. Bergsonism would regard swelling, redness, pain and antibody as part of an image that is stored in our (broadened) memory. Following infection the image (norm) is recollected, materializes, and takes over the present norm. Swelling, redness, etc. are not caused by the microbe, they are a recollected image elicited by the microbe. 2. Anxiety is generally viewed as proceeding through two phases. First the patient recollects a traumatic experience, and responds to it with palpitation, tachypnea, sweating, etc. In the present context, traumatic experience, and neuro-vegetative manifestations, belong to one image that materializes and takes over the present norm (image). Observed magnitudes may be divided into two sorts, extensive and intensive. Extensive magnitudes allow comparison and measurement, e.g., height, weight, or temperature. Intensive magnitudes allow comparison but not measurement, e.g., happiness, warmth, and pain (8). The exact sciences and medicine apply mainly extensive magnitudes. The patient is ill when his extensive magnitude deviate from the normal. His temperature is 38oC, heart rate, 120/min, and tachypnea, 25/min. The WOB on the other hand understands only intensive variables that participate in images. It feels warmth and not temperature, prostration and less tachycardia or tachypnea. While extensive magnitudes are the creation of the intellect and intelligence, intensive magnitudes belong to the realm of intuition. The state of the patient, its norms or images, are tractable only with intensive magnitudes. Extensive magnitudes should be regarded as approximations of the norm. Which highlights a profound medical conceptual inadequacy. Its means for evaluating health, e.g., extensive magnitudes, are in discord with the function of the organism. The second inadequacy originates in the concept of the normal (2,3), and the third involves the concept of time. Medicine studies the patient within the chronological time frame of the exact sciences, while in reality the organism manages its own time, Bergson's Duration. "The duration lived by our consciousness is a duration with its own determined rhythm, a duration very different from the time of the physicist" (6, p. 205). "The duration wherein we act is a duration wherein our states melt into each other" (6, p.186). The discrepancy between the two frameworks, that of the exact sciences and that of the WOB, breeds iatrogenesis, that accompanies medical practice. The Wisdom of the Body is understood by intuition, which ought to be the main concern of medicine. 1 Zajicek G. Wisdom of the Body. Cancer J. 7:212-213, 1994. 2 Zajicek, G. The Normal and the Pathological. Cancer J. 7: 48-49,1994. 3 Canguilhem G. Le normal et le pathologique. translated into English by Fawcett CR, Cohen RS. Zone Books New York 1991. 4 Zajicek G. Healing Force of Nature. Cancer J. 8:4-5,1995. 5 Zajicek G. Chaos reigns - Heraclitus is back . Cancer J. 6:108, 1993. 6 Bergson H. Matter and Memory. Zone Books. New York , 1991. 7 Deleuze G. Bergsonism. Zone Books. New York, 1991. 8 Lacey AR. Bergson. Routledge, London, 1989.